A: “Where I am?” is the typical question asked by a person when visiting a new city or unknown place. Knowing one’s own location is generally a basic necessity for people, both in indoors and outdoors. Nowadays, thanks to new technologies, this position information is available in almost every moment and almost everywhere. For example, with a smartphone we can compute our position using the sensors available on the device that may include small inertial measurement units (IMUs), proximity sensors, barometer, and GPS/GNSS. GNSS is the most used because, in combination with a smartphone, it enables users to plan and carry out their activities, e.g., to calculate routes (used as a navigation system), to share their location on social networks, or to geolocalise images. But how accurate is the position provided by these sensors? And what accuracy can be achieved by GNSS-enabled smartphones? In outdoor scenarios, smartphone technology allows us to position ourselves with a good level of precision, thanks to the use of assisted GNSS (A-GNSS), radio-frequency positioning, and mapping. Despite that, in some cases the received GNSS signal is too noisy or not available at all (e.g., in urban canyons, inside buildings), and GNSS positioning is not possible. Because of this, many research groups are exploring prospective solutions that combine various kinds of sensors (GNSS, INS, images, and so forth) and technologies (e.g., Wi-Fi, pedestrian tracking system, Bluetooth) in order to improve position accuracy and availability. However, this article focuses attention on GNSS-only positioning with smartphones, considering outdoor and urban canyon scenarios to give an overview of the precisions and accuracies available today. Many brands and models of smartphones are available on the market today, thanks in large part to the low price of the internal sensors. In our work, we evaluated the performance of two popular devices: the Samsung Galaxy S5 and iPhone 4. Each have embedded sensors, such as digital cameras, RFID, and GNSS receivers, as well as an inertial platform based on gyroscopes, accelerometers, and magnetometers. Table 1 (see inset photo, above right, for all tables) describes the key technical characteristics of these two smartphones. These devices include sensors whose characteristics must be known in order to realize accurate and reliable positioning. In particular, it is fundamental to analyze the noise level of the GNSS receivers, taking into consideration different types of environments, good satellite visibility, and indoor scenarios. This article describes results of smartphone-based GNSS receiver testing in two different environments. The tests took place considering two different scenarios: an open outdoor area to represent “ideal” conditions (Figure 1, left panel) (see image at the top of this article for all figures) and a small portion of the courtyard in Politecnico di Torino campus with characteristics of an urban canyon (Figure 1, right panel). In the latter case, the track (red line in Figure 1) passed through an area with limited satellite visibility and many windows that generate significant multipath due to their high reflectivity. During the tests each smartphone sensor recorded its own GNSS data positions at a one-second sample rate using a dedicated app that stores the NMEA GGA sentences in a text file. A reference trajectory was defined through the continuous tracking of the smartphone position with a total station, thanks to the retro-reflector installed on the “two-hands” support. In this way, a millimeter-accurate “truth” reference was established, with compensation for the level-arm offset between the sensors. As can be seen from Figure 2, the design of the two-hands support did not allow us to test both smartphones simultaneously. However, we did try to follow the same trajectory within a short time period in order to have nearly the same measurement geometries in both cases. Moreover, in order to make the results comparable, we decided to use the same wireless telephone network to ensure that both smartphones were receiving assistance information from the same source. The NMEA sentences were analyzed and compared with the reference trajectories using software written in MATLAB. The horizontal positioning errors of the two receivers are shown in Figure 3 and Figure 4 for the urban canyon environment. The two smartphones displayed different error behavior over time but produced approximately similar overall accuracy. In order to have a more complete analysis from a statistical point of view, I have summarized the most significant statistical parameters in Table 2 and Table 3 for the urban canyon and open area test locations, respectively. The urban canyon results indicate that the iPhone sensor was affected by multipath more than the Samsung, especially in the vertical direction: both the accuracy (mean) and precision (standard deviation) are lower than those obtained by the S5 smartphone. (Although precision and accuracy are often used interchangeably, they are not strictly the same. Accuracy refers to the closeness to the true value whereas precision refers to the spread/dispersion of the results, regardless of whether the solution is near the true solution or not.) At the same time, no great differences can be found when these sensors are used in an open area. These differences might well be attributed to the fact that the newer receiver in the Samsung phone is able to track GPS and GLONASS, versus GPS alone for the iPhone. 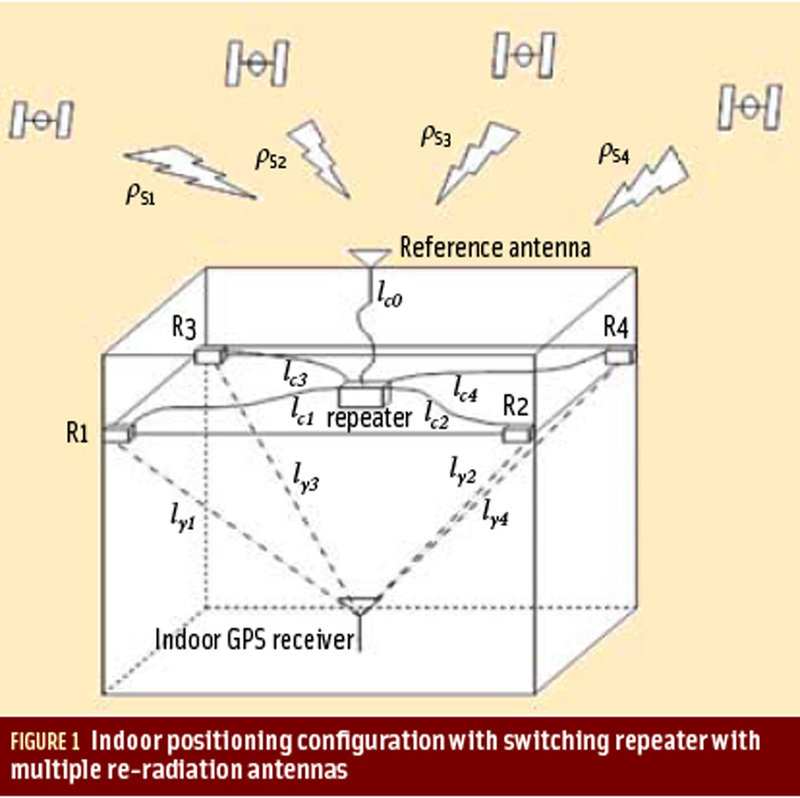 As noted earlier and shown in Figure 2, an external mass-market GPS receiver was also used during testing. Data from this receiver was processed in real-time using differential corrections provided by a continuously operating reference station (CORS) network and applying an integer phase ambiguity resolution technique. Employing the RTKNAVI tool of the open-source RTKLIB software, network real-time kinematic (NRTK) processing was implemented using virtual reference system (VRS) data from the Regione Piemonte CORSs network. Table 4 shows the NRTK position error statistics for the external mass-market receiver. The results clearly show that fixing of the phase ambiguity was possible in 98 percent of epochs in the open area; so, the accuracy is more or less three centimeters in the horizontal dimensions and about five centimeters for the vertical. Considering the urban canyon scenario, no epochs with fixed ambiguity were available; despite this, both precision and accuracy improved with respect to the positioning with smartphones by about a factor of two in the horizontal and three in the vertical. This test shows the potential benefit of a CORS network even if mass-market receivers are considered. If a GNSS receiver with the capability of this mass-market receiver was installed on smartphones, both the precision and the accuracy may increase. Of course, receivers would still need to determine when (under which environments) the carrier phase data should be used, if at all. The realized tests highlight the performances of GNSS positioning using modern smartphones and provide an overview of accuracies and precisions obtainable. Smartphones can really help users to define their positions, even if the actual application and technology are not developed to take greater advantage of the internal sensors. For example, with smartphones it is quite difficult to record the raw measurement data or to have the direct access to the internal sensors. Substantial differences appear between the reference (obtained by total station) and the estimated (obtained by smartphones) positioning in the urban environment, although smartphone performance can be useful for a great number of applications (e.g., navigation) in an open sky area. As expected, then, we can generally affirm that the accuracy of the smartphone positioning depends mainly on the environment, in terms of obstacles, satellite visibility — which is also affected by the constellations that a receiver can track — and multipath. However, precision and accuracy improvements could be realized by computing a differential positioning solution. In particular, these tests demonstrated that centimeter accuracy can be obtained in open areas (using fixed ambiguities) while a sub-meter accuracy can be reached in low satellite-visibility conditions. In this context, future smartphones could really help the user to define their position for a wide variety of applications. Even greater performance is expected when a phone’s other sensors are used as well. The author would like to thank Prof. Iosif Horea Bendea, who has developed the “two-hands” support at the Politecnico di Torino. The results presented in this article are for illustrative purposes only and should not be construed as a direct comparison of the GNSS receivers in the two phones, nor the two phones themselves. In particular, whereas the Galaxy S5 is Samsung’s current flagship phone, the iPhone 4 is two generations old, with comparably older GNSS receiver technology. This is most obviously reflected in the ability of the iPhone to only track GPS satellites whereas the Samsung can track GPS and GLONASS satellites, but other aspects of the receivers will also likely have been improved since the iPhone 4 was launched.